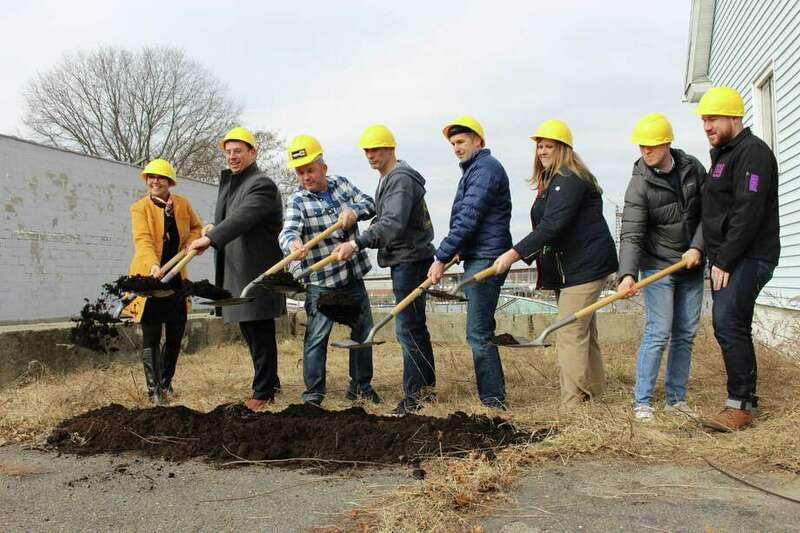 After a year of waiting, owners of Dockside Brewery have broken ground. It took longer than expected, but Milford’s waterfront brewery is officially joining the crowd and owners Dan Bagley and Bob Chicoine couldn’t be happier. After receiving the final building permits Feb. 8 and breaking ground Monday, the duo is looking at a six-month construction process to bring Dockside Brewery to life at 40 Bridgeport Ave.
For the past year, talk of a craft beer triumvirate in the city —which has missed out on the brewery boom — has waited on the riverfront brewery while Milford Point Brewing Co. and Tribus Beer Co. have opened to local fanfare. 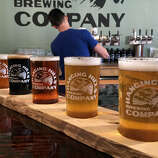 Bagley and Chicoine had wanted to open the brewery by 2019 when they first set out last spring, but getting the needed permits caused delays, Chicoine said. “A lot had to do with the building itself,” he said — the shape of the space needed to be straightened out, which required an amendment from planning and zoning. “We really just looked at it as we got one shot here and first impressions are (important), and we wanted to do it right instead of regretting,” Chicoine added. With the straightening of the main building, the size of the bar has increased, Chicoine said. It was originally slated to feature 30 tap lines, but that has jumped to up to 40 lines for the 4,000 square foot space. Ten lines would be dedicated to in-house brews while the remainder would server a mix of beers from other brewers in the area. Though they’ve had to wait on approvals to build, Bagley and Chicoine have already gotten to work on their first Dockside beer, which was brewed and unveiled in Florida at Engine 15 Brewery, an affiliate brewery in Jacksonville. Chicoine is a partner at Engine 15. “We thought ‘why don’t we come up with a beer that’s brewed specifically to our style,’” he said, adding that the brewery’s double IPA — titled Docked — already brewing in Florida, will be one of the flagship beers on opening day. 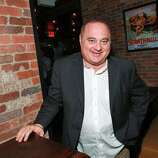 Along with beer, Dockside Brewery is expected to serve pizza, pretzels and other food. It will also feature an outdoor beer garden and different yard games for customers to enjoy, Bagley said earlier. Dockside will also feature plenty of waterside seating and decks overlooking the river. Since Connecticut’s brewery market burst onto the scene in 2012, the industry has thrived, going from roughly a dozen to, now, about 90 breweries statewide with more expected to follow. Compared with the state’s booming brewery industry, Milford is still new to the lists, with Dockside ready to take its place among the 465 new businesses that moved into the city last year. The lack of a settled brewery reputation created its share of challenges for the trio of businesses that kickstarted the local market. “If you look at some of the tourism areas that have had some of the biggest impacts in Connecticut, that has been some of the breweries,” said Milford Mayor Ben Blake. “I think this one is going to be a flagship one because it’s both a destination by car and a destination by boat. While the prospects of further breweries opening in Milford are uncertain, Blake and other proponents said they are looking forward to seeing how the city’s three will fare, with construction at Dockside and ongoing expansions for Milford Point and Tribus. “These are strides that our beer industry is making in a positive direction,” said Phil Pappas, executive director of the Connecticut Brewers Guild.